After a long trip around the main places in Eastern Canada, we need to take a break and see the natural sites outside the city. 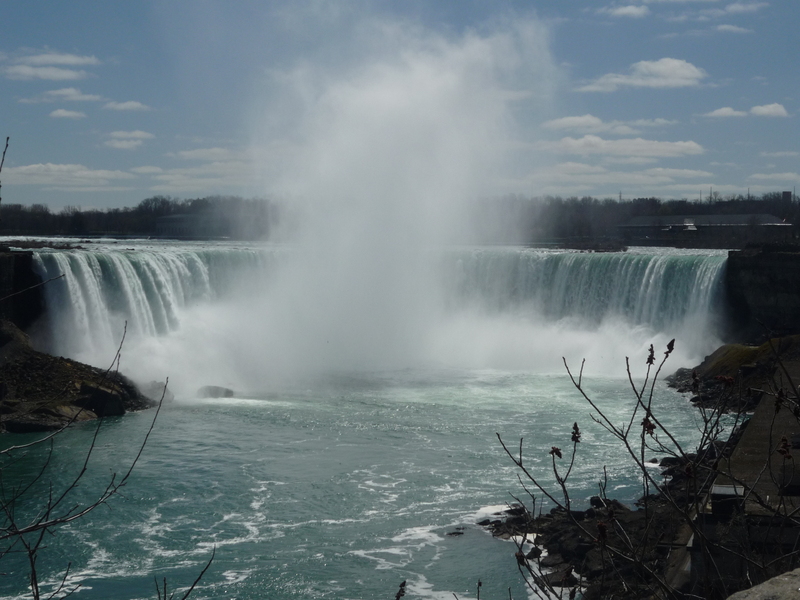 As most of you know, at 1h30mins from Toronto there is one of the most famous and beautiful places in the world: the Niagara Falls. If you are in Toronto, the best is to go there by car, so that you can stop during your trip and visit the vineyards or the other interesting places around. Alternatively, you can go there by train (if so, do not forget to book your ticket more than 2 days in advance, before that date it will cost you around 60CAD whereas on site it will cost you 90CAD) or by bus. 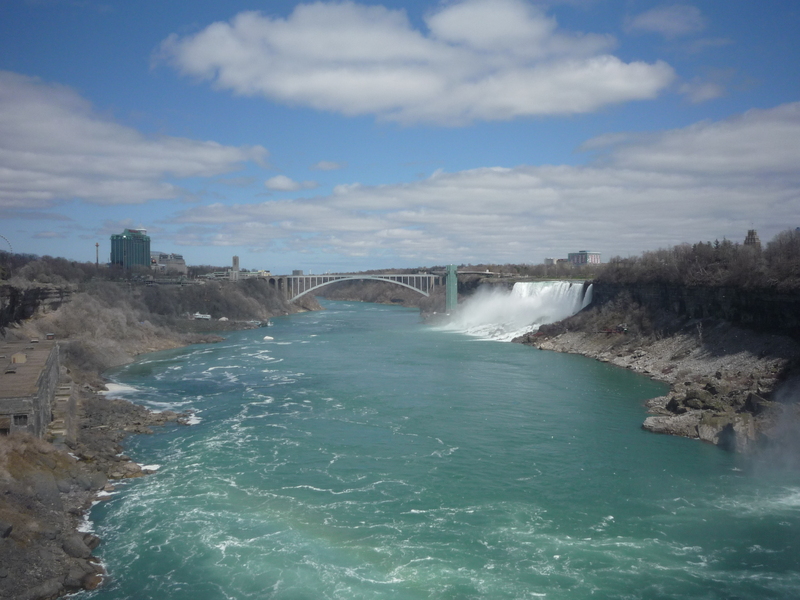 If you want to go there by bus, either you can book via several tour operators (Niagara Tours, etc…it can cost you from 60 to 100CAD) or via regular bus companies (such as Greyhound or Coach Canada). Since I was alone, I decided to take a Coach Canada bus, it leaves from the bus terminal (located just 2mins walking from Dundas Square) and arrives in Niagara bus terminal in 2h-time. There are buses running every 30mins in the morning and in the late afternoon, whereas there are very few between 11:00 and 16:00. I took the bus at 9:30 from Toronto and took the bus back from Niagara at 16:30, this was more than enough to visit the place, and it cost only 30CAD. As you can see you have the choice, but the important is to go there, this is one of the best places in the world. 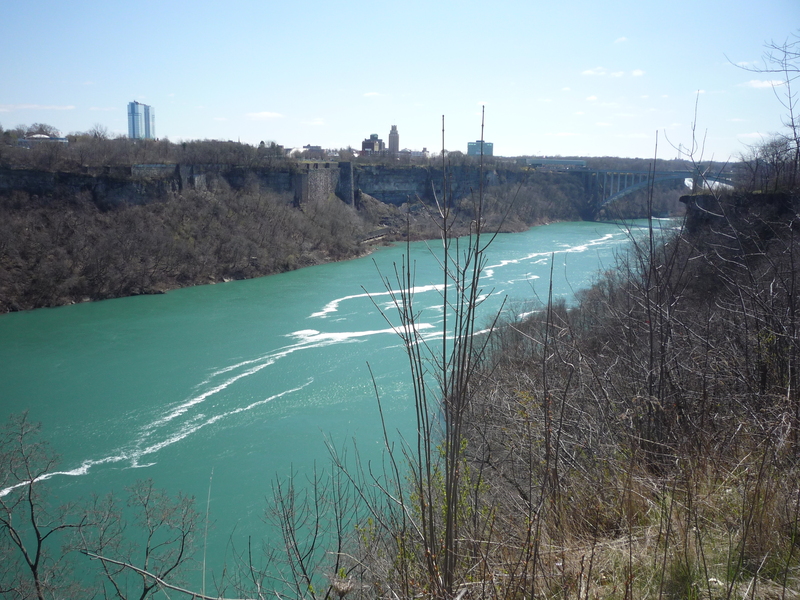 The Niagara falls, located at 30mins walking from Niagara station, are natural wonders. They really make you realize that men can make all their best to build stuff but what nature creates is simply unique. This is a show that leaves you breathless and I can still feel the same sensation while writing about it. 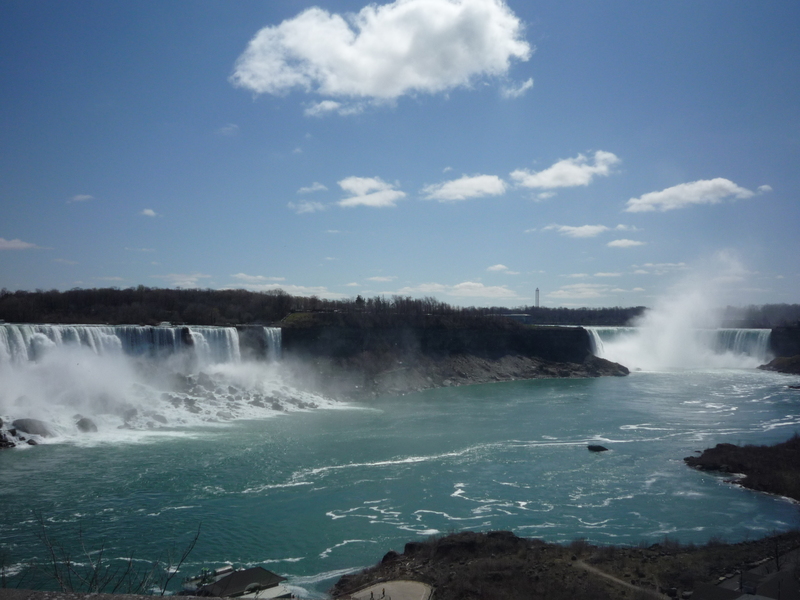 There are mainly 2 falls: a smaller one (that you can see in front of you from Canada’s side, whereas the US have direct access to it) and a big one (where both Canada and US have direct access). It is amazing to see the huge quantity of water and the fantastic colors in harmony with the blue sky and the surrounding nature. 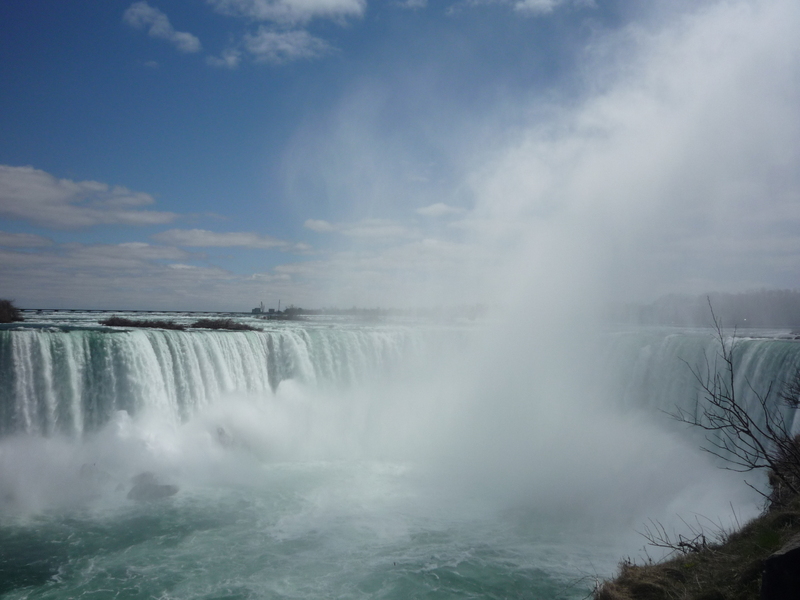 This is one of the best gifts that nature gave to us and if you plan a trip to Canada you certainly cannot miss it. The Niagara Falls are the best way to spend your last day in Canada and to say goodbye to this fantastic country in a proper way. If you have a car, you will probably want to stop also by Niagara on the Lake. Described often as as the prettiest town in Ontario, Niagara-on-the-Lake is a well-preserved 19th-century village, with its charming inns, upscale restaurants and elegant architecture, in the heart of Ontario’s wine region. If you don’t have a car, there are also regular buses running from and to Niagara and Niagara-on-the-Lake.